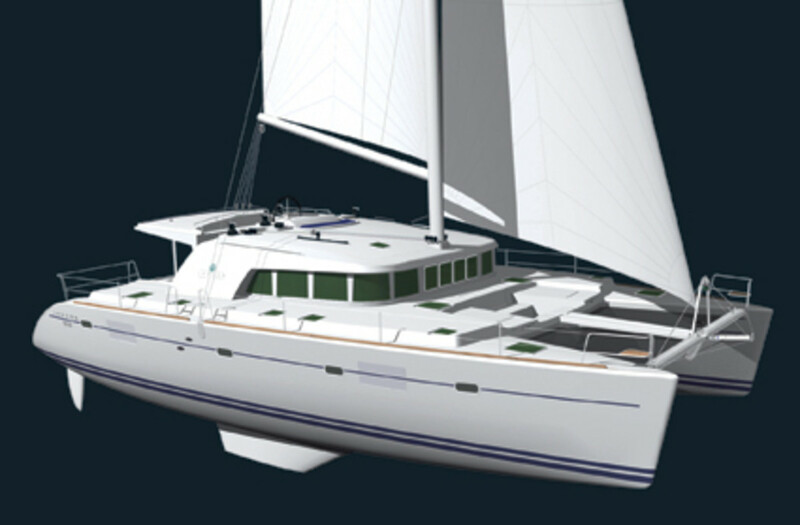 Following up on their successful Lagoon 440 catamaran, the Peteghem-Prevost design team has created a 51-footer that will be available with several options—an owner&apos;s version with a three- or a four-cabin arrangement and a charter version with four or five cabins. The main saloon, located on the bridgedeck between the hulls, has a center table that is large enough to seat 10 in comfort. A good-size galley to port boasts a large oven and grill, a refrigerator, and freezer, plus a dishwasher and additional freezer and refrigerator space. The nav station on the starboard side of the main saloon has a full set of steering and engine controls as well as ample space for charts and electronics. For more information, visit Lagoon Catamarans.